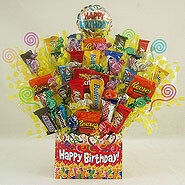 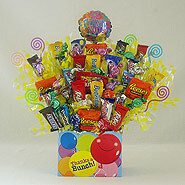 Fun for all ages, our Candy Arrangements are a unique Birthday Gift, Get Well Gift or Thank You Gift. 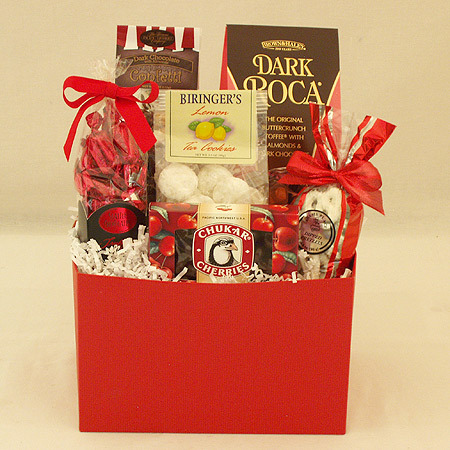 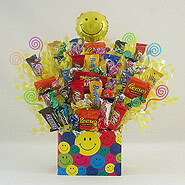 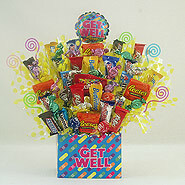 A Candy Bouquet delivery is perfect for an office to share and sure to bring rave reviews! 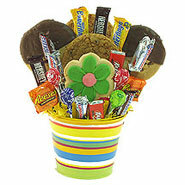 Our Candy Bar Bouquets are a great woman's gift or man's gift and ideal for a family to share. 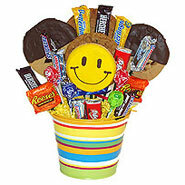 Please note, our Candy Gifts are mostly Chocolate Bouquets which are heat sensitive, so please keep hot weather areas in mind when shipping these unique Candy Bouquet ideas.